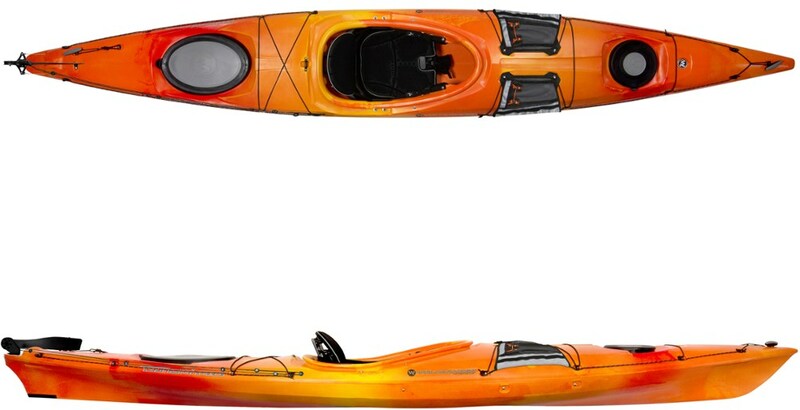 Combining the speed of a touring kayak with the stability of a recreational boat, the Necky Manitou 13 Kayak is ideal for intermediate and beginner paddlers looking to explore lakes, coastal inlets, and lazy rivers. 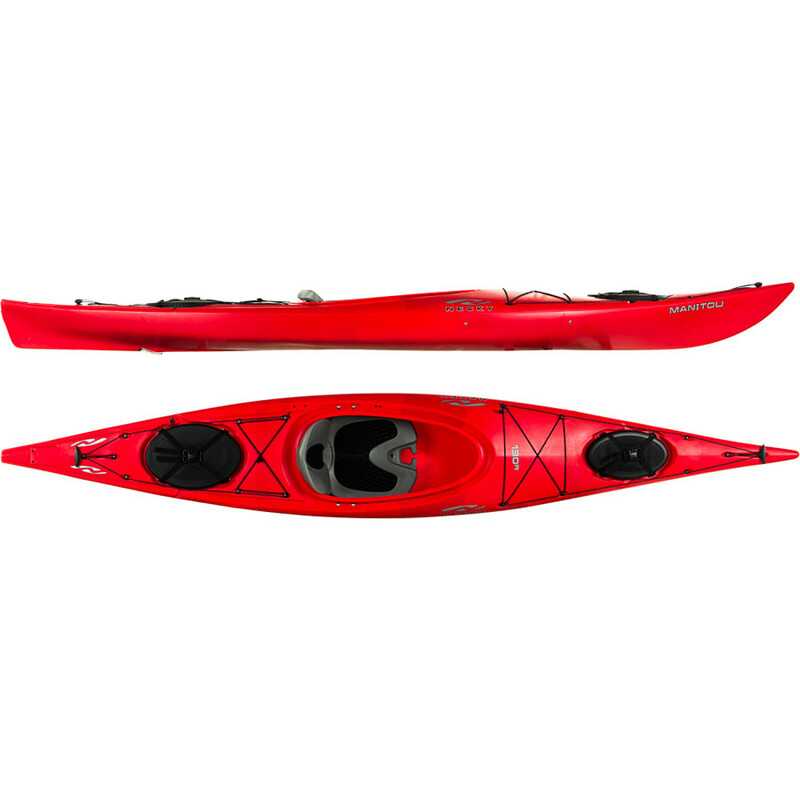 The Manitou features Necky's Active Comfort seat system, which is generously padded, well ventilated, and serves up a plethora of adjustment options, so you can paddle in comfort while you take in the pristine mountain views. 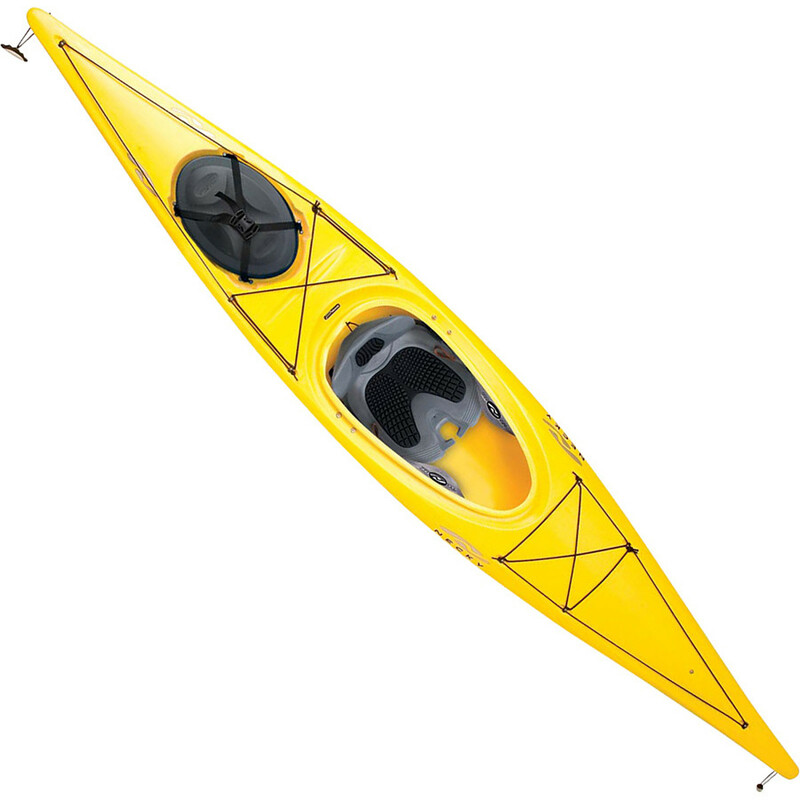 The large cockpit makes getting in and out of the kayak as easy as possible, while carry handles at the bow and stern make transporting the boat to and from shore easy. 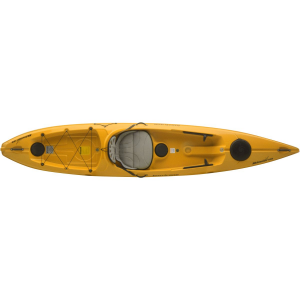 Throw everything you need for a day out on the lake in the water-tight stern hatch and you'll be ready to paddle away in this easy-to-handle kayak. 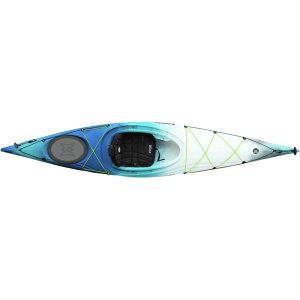 The Necky Manitou 13(TM) kayak delivers versatility and fun, covering miles of water with easy glide and stability that will inspire you to go the extra mile. Tough and affordable Polylite(TM) linear polyethylene hull provides long-lasting wear and resists UV degradation; molded-in graphics won't peel or fade. 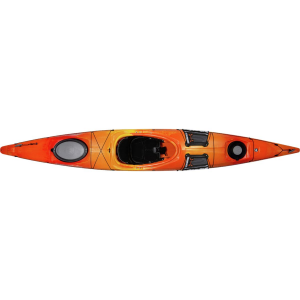 Sharp entry lines and extended keel provide solid tracking and enhance paddling efficiency. Generously-sized cockpit allows easy entry and exit. New for 2010, the Active Comfort System (ACS) seat offers a convenient and intuitive adjustment system. Orange pull straps provide 4 separate adjustments: backrest tilt, backrest height, lumbar support and thigh support. Lateral stabilizers lock the seat into the boat to maximize responsiveness; finger channels on the seating surface enhance airflow and drainage. ACS seat base uses a tri-laminate construction that's similar to a running shoe, providing support where you need it and softness where you want it. Large stern hatch with water-resistant neoprene seal and hardshell cover provides space for your day-tripping gear; stern bulkhead helps keep gear dry. Foam pillar in bow and bulkheaded stern enhances flotation. Bow and stern deck rigging stows extra gear securely; recessed deck fittings provide increased durability. Reflective perimeter lines enhance visibility, and recess in stern deck makes it easier to do a paddle float self rescue. Toggle handles ease transport to the water. The Necky Manitou 13 is not available from the stores we monitor. It was last seen January 9, 2018	at Backcountry.com.